I adored this place. The decor is perfect understated elegance. Classy enough to make you feel sophisticated, yet toned down enough that you feel completely at ease. The menu was inventive gourmet, both creative and satisfying. 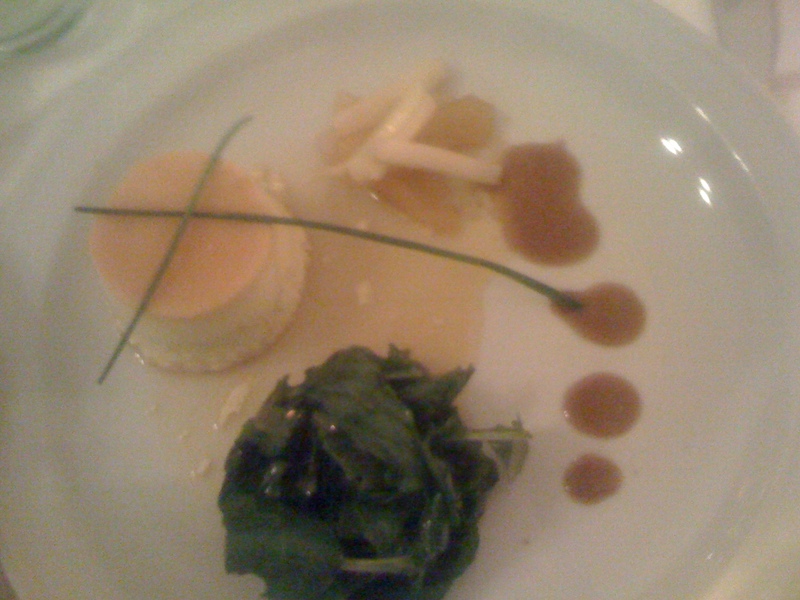 We shared an appetizer of blue cheese flan with seared pears and greens. 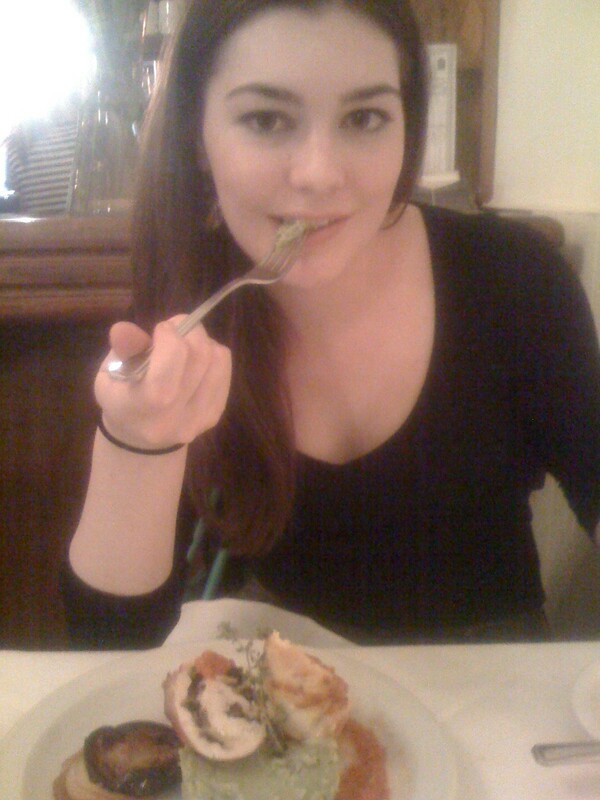 It was fantastic, not to mention beautiful. 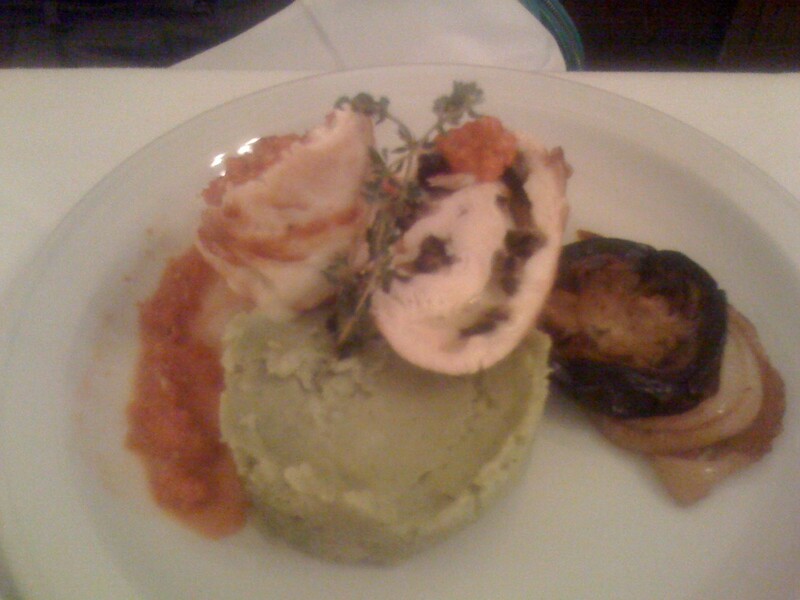 For her entree, Laura ordered an herb stuffed chicken with pesto mashed potatoes. I had ‘order envy’. 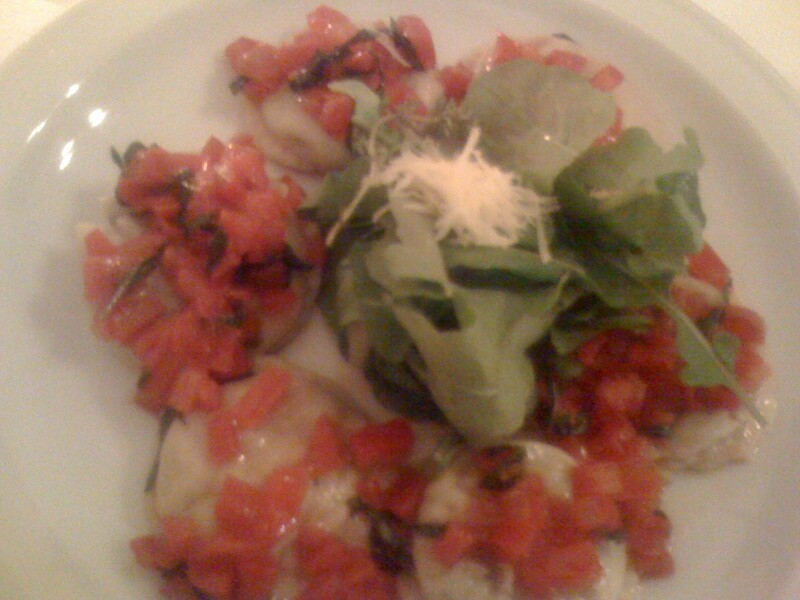 My eggplant sorrentinos with fresh, chunky tomato sauce and basil were delicious. While the desert menu was impressive, we decided to go to Volta for ice cream instead. I miss you Laura. While our time in BA was temporary, our friendship is not. I miss you, too! Social Paraiso as well, but mostly you. I will take an Asado any day!!! My mouth is watering at the thought!